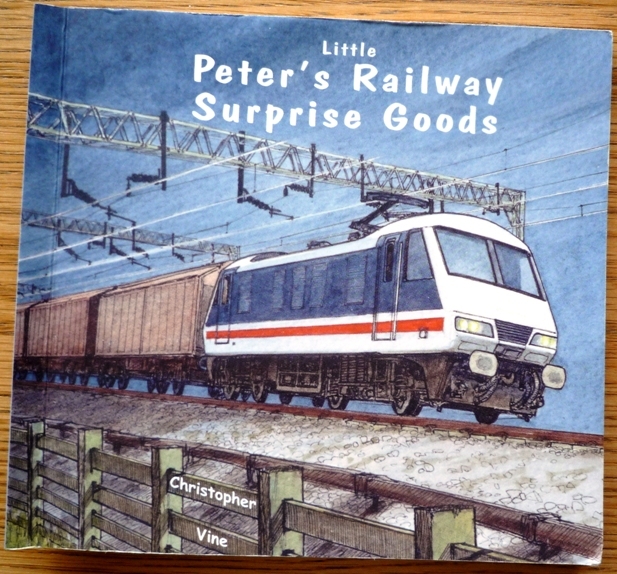 One final submission from Juliette, Little Peter’s Railway: Surprise Goods by Christopher Vine (published by the author, 2011). 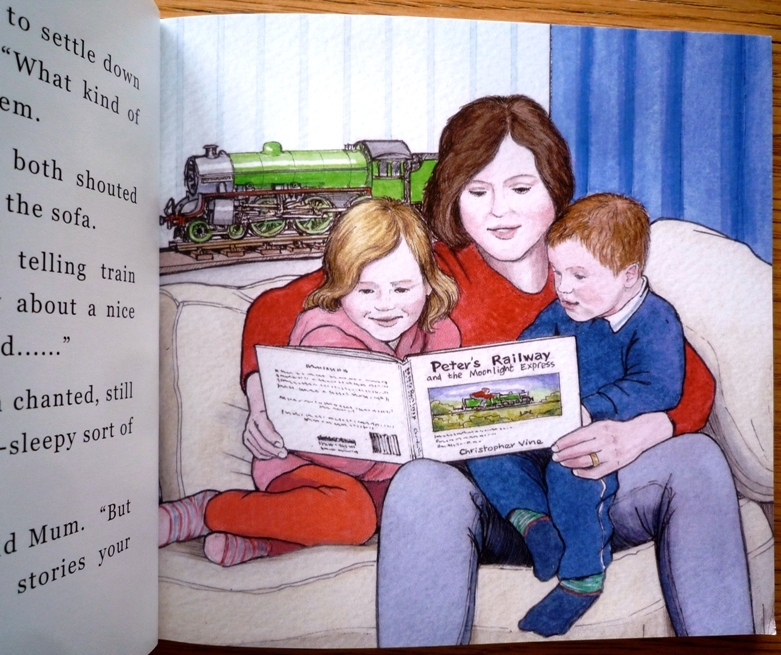 Here’s Mum with Peter’s twin sister and brother Kitty and Harry, settling down to read Peter’s Railway and the Moonlight Express (2009), something for readers of the ‘Little’ series to look forward to. 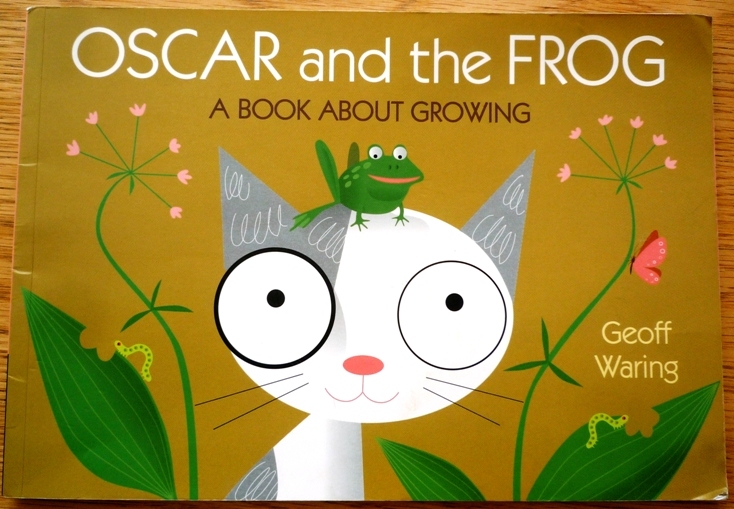 So this is Oscar and the Snail: A Book About Things We Use by Geoff Waring (Walker, 2008) … it’s not? Ah, but inside, Snail tells Oscar the curious kitten how things are made. 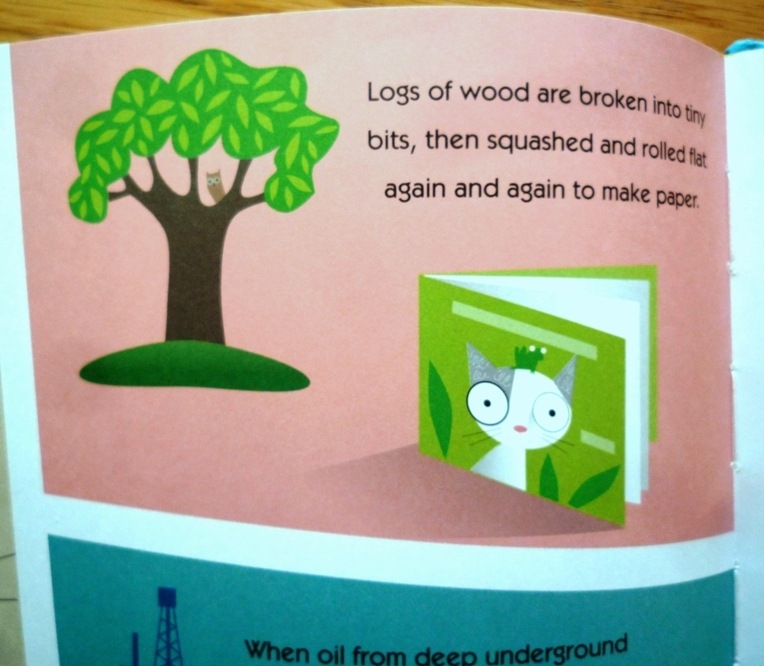 “Logs of wood are broken into tiny bits, then squashed and rolled flat again and again to make paper.” Paper that can be used to print a book like Oscar and the Frog: A Book About Growing by Geoff Waring (Walker, 2006). Thanks to Juliette for making the link. See also The Tree and Ein Buch vom Buch. 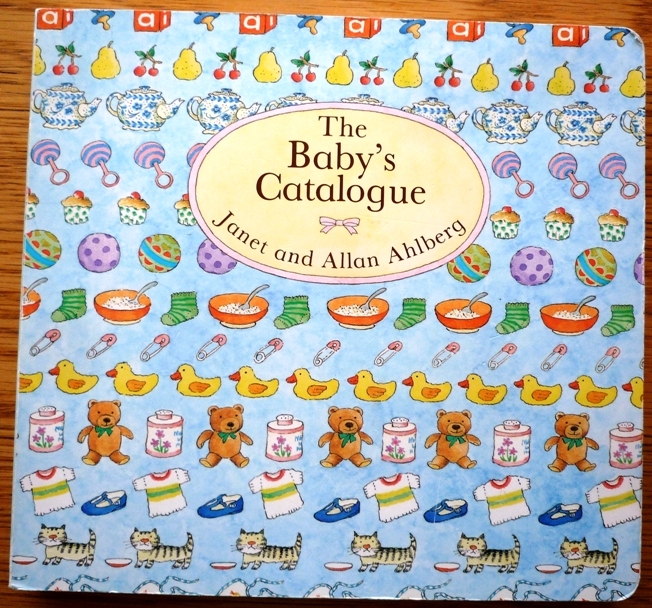 An Ahlberg classic now, also submitted by Juliette: The Baby’s Catalogue by Janet & Allan Ahlberg (Kestrel, 1982). 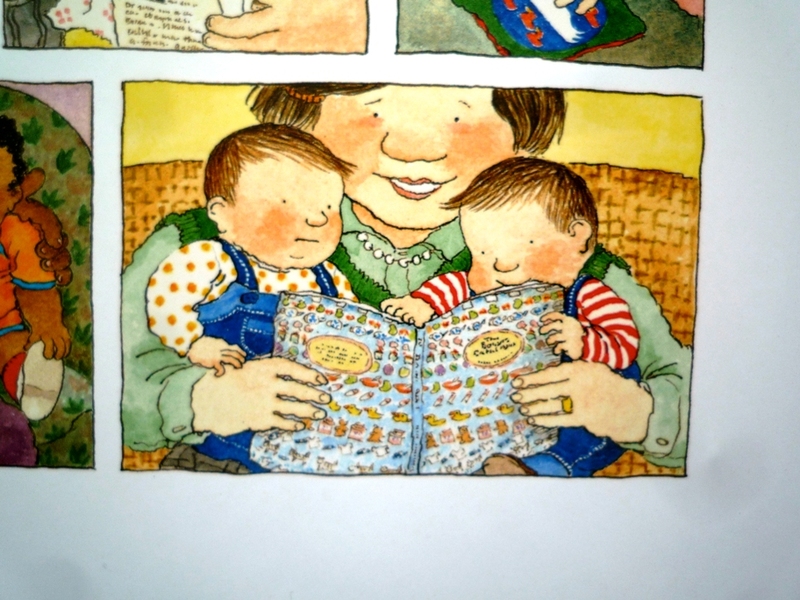 One of its pages is of course devoted to ‘Books’, some of which are identifiable: ‘Motor Engines’, a parenting guide by (the real) Dr Jolly, and as you see below, The Baby’s Catalogue. See also My First Toy Catalogue, The Pencil, Red Nose Readers, and My Worst Book Ever! At one point there is a picnic. 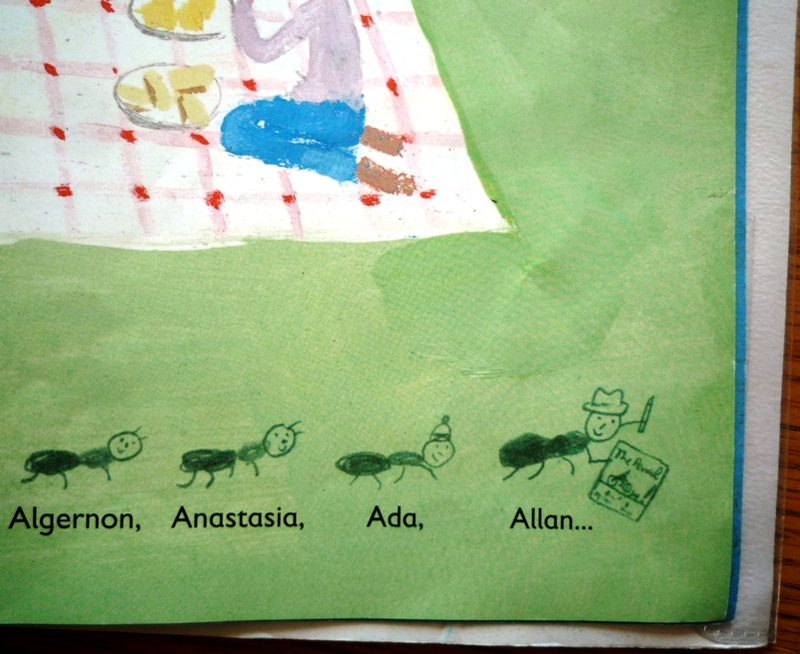 ‘A whole column of ants (“What’re our names?” said the ants) came marching across the tablecloth.’ Everything needs to be named, so the individually-drawn ants are Alice, Alvie, Abraham, Amy, Araminta, Alberic, Algernon, Anastasia, Ada, Allan … and Allan is the author, carrying a miniature copy of The Pencil. 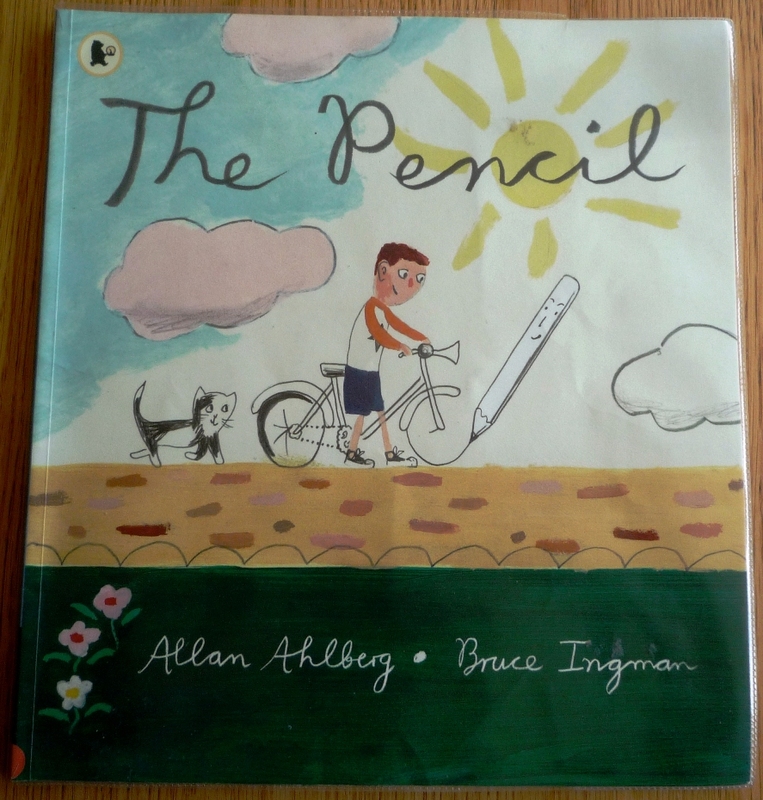 There is a wrinkle: as you can see, the cover at the top shows (from left to right) a cat, a bike, and a pencil; but the book which the ant is holding shows a bike, a cat, and a pencil. There are editions of The Pencil with covers closer to the miniature in this respect, but why a publisher would go to the effort of commissioning a new illustration for such a subtle difference is a mystery. See also The Baby’s Catalogue, Red Nose Readers, and My Worst Book Ever!